Ships today if you order in the next 7 hours 26 minutes. Lavender (Lavandula angustifolia) is an herb. It is popular in essential oils. Lavender has relaxing, comforting properties, and its aroma is deep and rich. People use this versatile oil for anxiety, depression, digestive issues, insomnia, pain relief and restlessness. Its use has been traced back over 2,500 years to ancient Persians, Greeks and Romans. 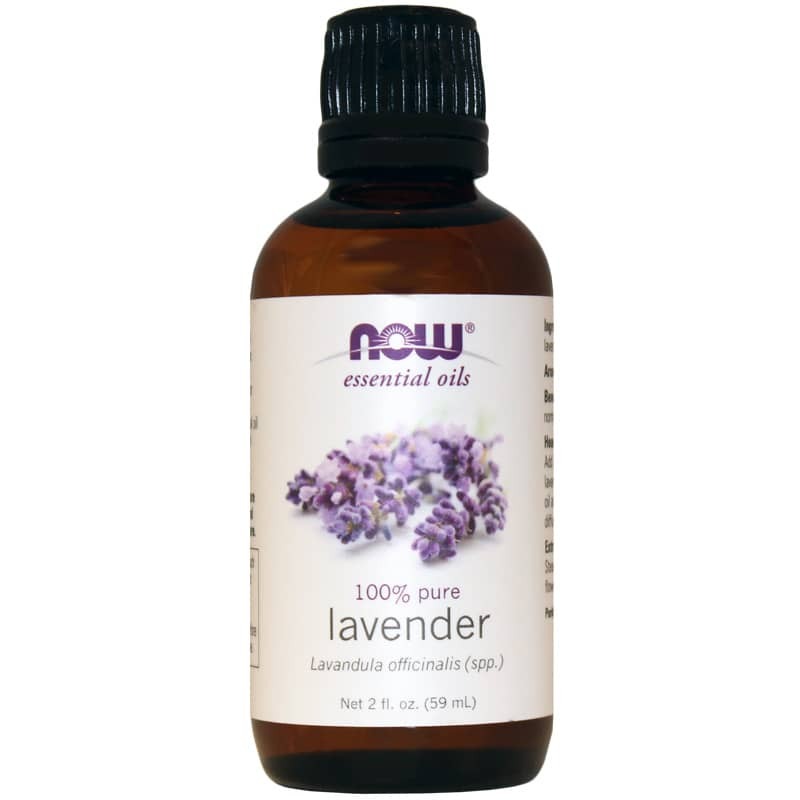 NOW Foods offers an essential oil called 100% Pure Lavender that has a floral aroma and soothing, normalizing, balancing benefits. 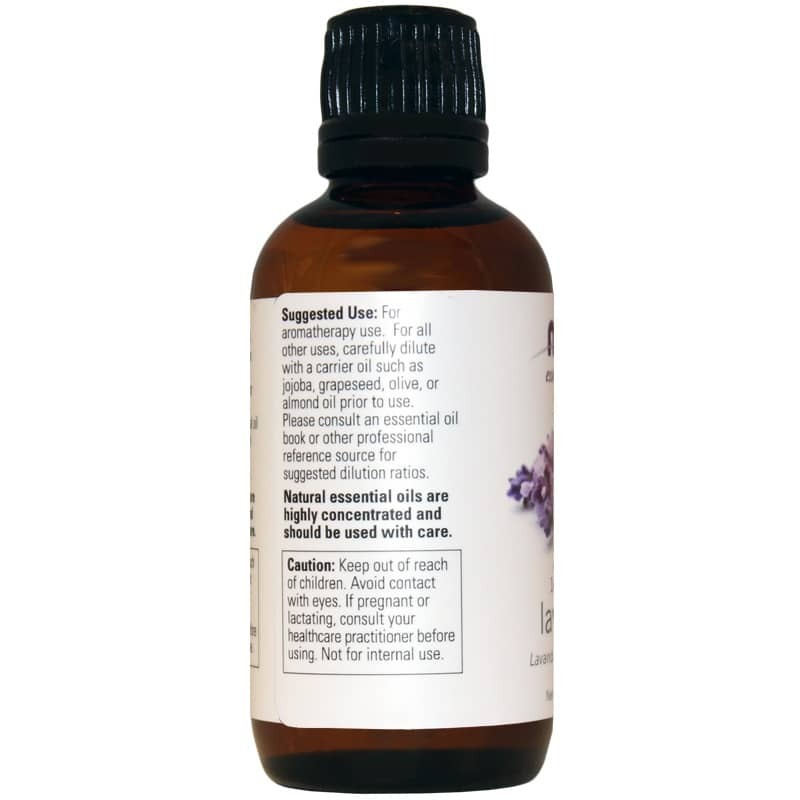 This oil mixes particularly well with allspice, anise, basil, bergamot, citronella, clove, eucalyptus, geranium, hyssop, jasmine, lemon, tangerine, peppermint, pine, rosemary, spearmint, tea tree and more. Add it to your next bath! 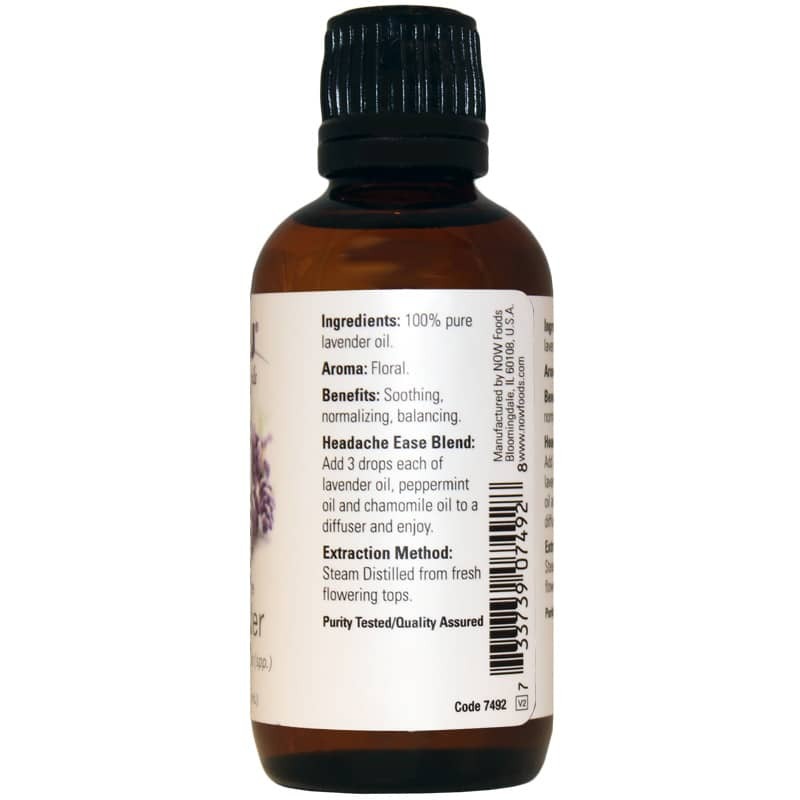 If you're looking for a lavender essential oil, check into NOW Foods' 100% Pure Lavender. Order online today! Always dilute before use other than aromatherapy. Keep out of reach of children. Avoid contact with eyes. If pregnant or lactating, consult a practitioner before use. Not for internal use. This product was at a great price & free shipping! It was shipped the same day I ordered and received within a couple of days. I also ordered another product. They were out of stock. I was informed the same day and my account was refunded the same day. I plan on ordering from this company again. Didn't have any problems. It was fast and easy. I have found some lavenders to be so strong as to almost be repellent, but this brand & aroma are perfect to mix with my massage oil. A soft aroma rises yet I know the lavender is supporting those sore muscles. Greta Lavender Oil. Lavender oil is my FAVORITE essential oil and I use it in pretty much all of my blends. Now is a great company which provides good, affordable essential oils. Their lavender essential oil has a great scent which holds up through cold-process soap making and also works well in natural deodorant recipes. Lavender oil as advertised. Definitely more aromatic than other lavender oils we've purchased in the past so it should last longer. Would buy again. I went to have a massage and the gal used this lavender oil to help me relax by putting it right by my face. There is something wrong with this oil, I had a headache for 2 days after and felt nauseous as well. NOT a good oil, and even though it may be listed 100% pure it sure did not smell that way to me. It smelled like the plant, NOT the flower. Be careful where you buy your oils!!! Relax with this essential oil especially at night when placed on your pillow!